Last Thursday Soni and I spent the day teaching 4th and 5th graders about pollinators at the Outdoor Discovery Program held every year at Platte River State Park hosted by Nebraska Game and Parks. The day started out chilly, but by afternoon we were able to see many pollinators and the kids were able to stretch out in the grassy area and work in their field journals. We found out the attending youth knew what pollination means, what pollinators are and how they are important. What we were able to add to their knowledge was very interesting to them. 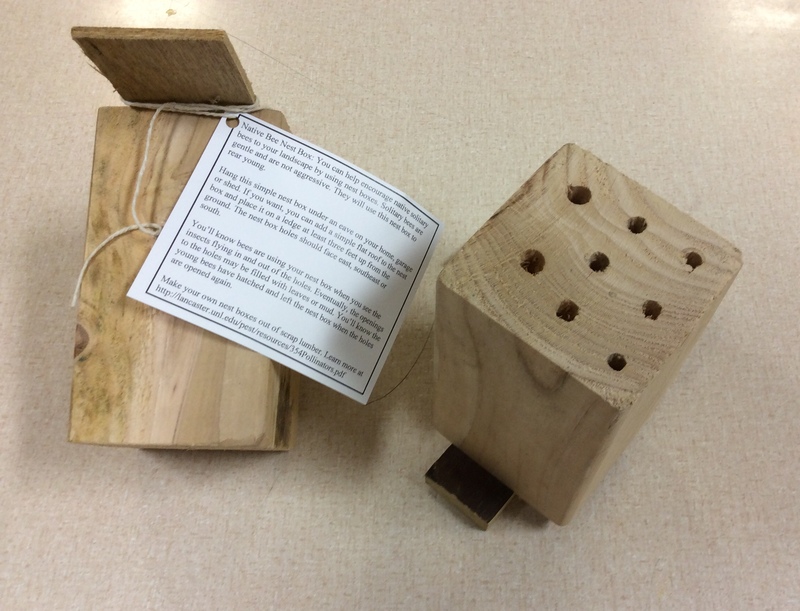 We discussed native pollinators and showed them nesting bee blocks with the leaf cutter bees still in them ready to emerge. The importance of early blooming plants, like dandelions, which they considered weeds, was a surprise to them. The discussion turned to what food crops needed pollinators to produce, like tomatoes, apples and almonds. By the end of each session, the kids had a better understanding of our native pollinators and how their habitat is important to protect. It was a very fun day for all of us and it is great to partner with Nebraska Game and Parks in youth outdoor education. The Cherry Creek Habitat hosts many American Goldfinch. I placed three sock feeders for them in our mature trees that border the habitat. I also hung the sunflower seed bird feeder for our seed eating birds. We often see Dark-eyed Junco and Northern Cardinals in or near the habitat. I am so excited to make this announcement and proud to be part of this Pollinator Habitat Certification team. Here at our office, we plan to certify the Cherry Creek Pollinator Habitat and I want to also certify my home pollinator garden. 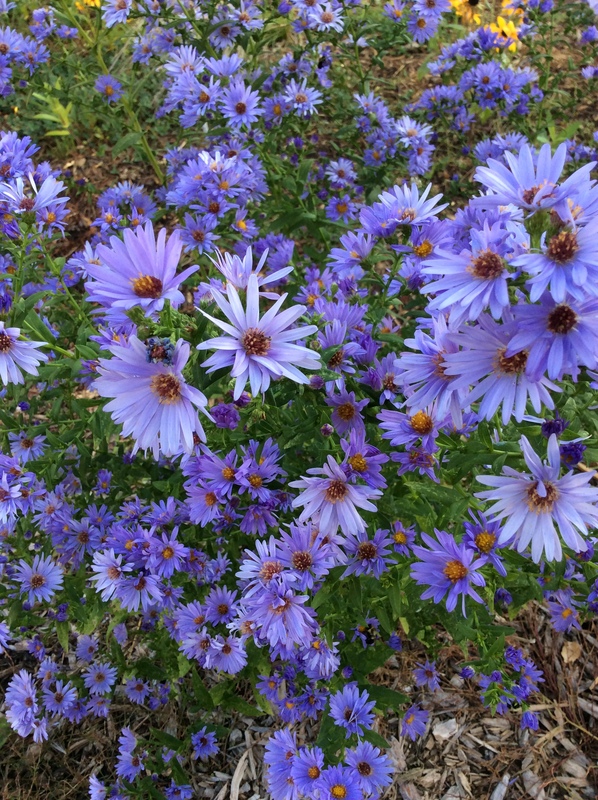 Do you love gardening and want to help pollinators? Consider developing your landscape into a pollinator habitat. 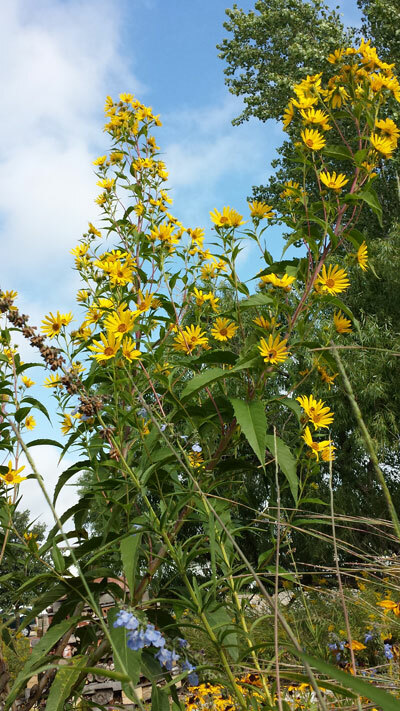 This month, a team of Nebraska Extension horticulture professionals, led by Extension Educator Natalia Bjorklund, launched a new program called Nebraska Pollinator Habitat Certification. This program gives Nebraskans an opportunity to certify their garden and promote pollinators in their community. To certify their habitat, gardeners need to provide spring, summer and fall blooming plants that support pollinator needs, a water source, shelter, nesting sites and restrict pesticide use. Gardeners will be asked to make a commitment to protect pollinators and provide a diverse plant community that will result in a pollinator habitat. This program is open to Nebraska homeowners, schools, businesses, parks, homeowner associations, farmers, acreage owners and community gardens. Monarch caterpillar on swamp milkweed. Pollinator Week is June 15-21, 2015. There are many ways to celebrate pollinator week and we hope you will participate by helping pollinators in your landscape. 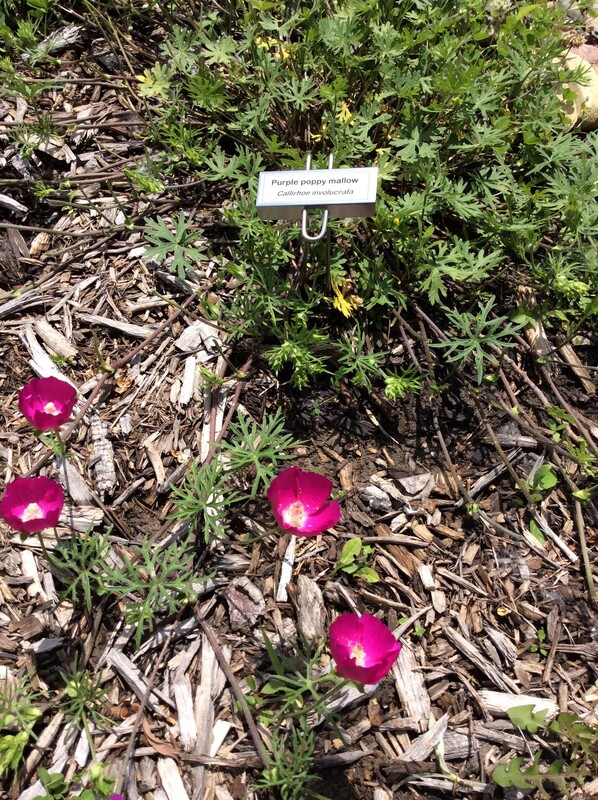 Purple poppy mallow in habitat. 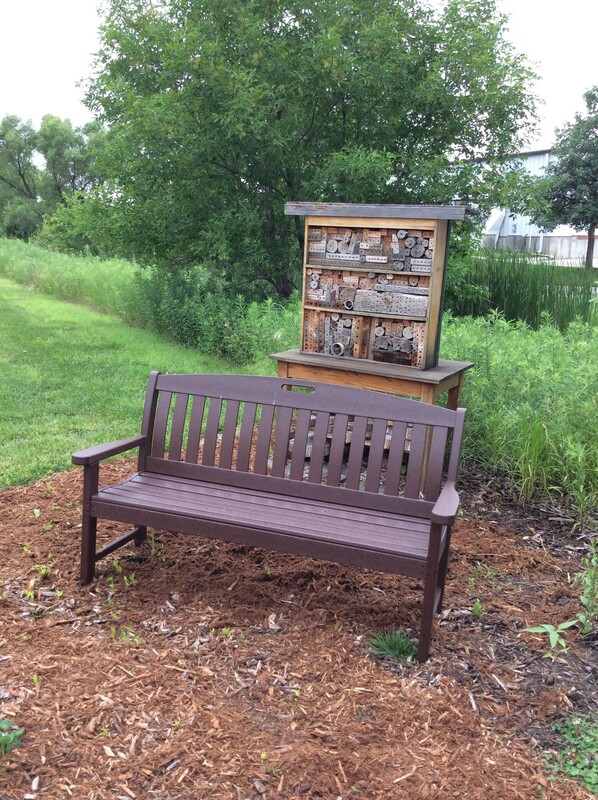 New bench added to Cherry Creek habitat. 1. Plant Native Plants. Native flora provides native pollinators with food in the form of pollen and nectar. Select plants that have a long bloom time. Also grow a wide selection of plants so you have plants blooming April through October. 2. Let your yard get a little messy. Leave unhazardous snags for nesting places and stack down tree limbs to create a brush pile, which is a great source of cover for pollinators. 3. Create or protect water sources. Bees need water to drink. Create a water feature with rocks for insects to land. Be sure to keep birdbaths clean and change the water three times per week when mosquitoes are breeding. 4. Limit or eliminate pesticide use. By using fewer or no chemicals in the landscape you will help keep pollinator populations healthy. 5. 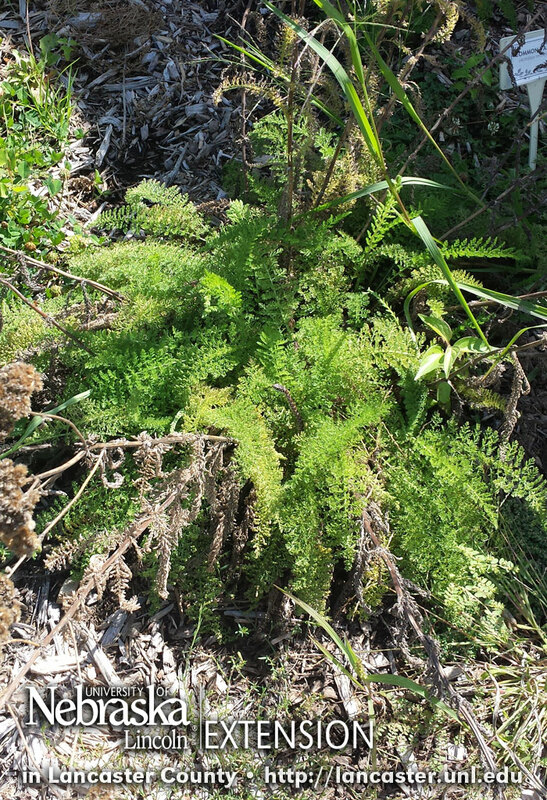 Identify non-native invasive plants. Work to remove them from your yard. Do not bring any new invasive plants into your habitat. Invasive plants do not provide as much quality food or habitat as native plants do and can threaten healthy ecosystems. 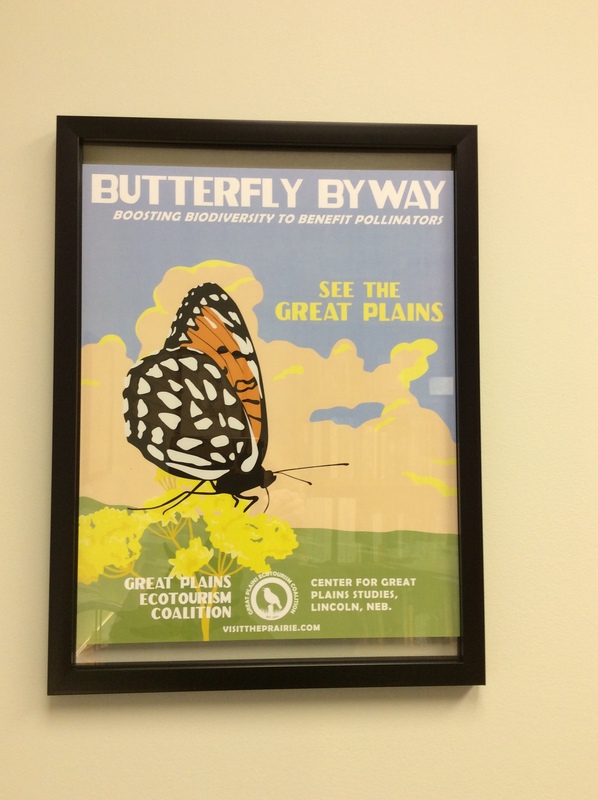 Butterfly Byway poster by Great Plains Ecotourism Coalition. I received an early Christmas present from my husband. I framed this fabulous poster and hung it in my office. I love that our state is promoting the great assets we have here in Nebraska. Assets that have always been here and will continue to be here if we are good stewards. There are 12 posters in the collection. Go to Visit The Prairie at http://visittheprairie.com/ to see the collection and order a poster or postcards. My husband picked up my poster at Hardin Hall here in Lincoln (33rd & Holdrege). The Great Plains Ecotourism Coalition is committed to promoting environmental conservation and building thriving communities through nature-based tourism in the Great Plains. 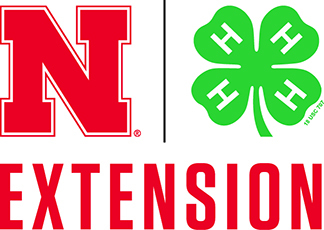 The Coalition includes both non-profit and for-profit members and is coordinated by staff at the Center for Great Plains Studies at the University of Nebraska-Lincoln. Can wasp be pollinators? Yes they can, but some are better than others. Wasp with hairs on their bodies are better at being pollinators than those with few hairs. Pollen sticks easily to hairy bodies making it easy to be passed around from flower to flower as insects move through the garden. Many wasp are beneficial because they are also predators. 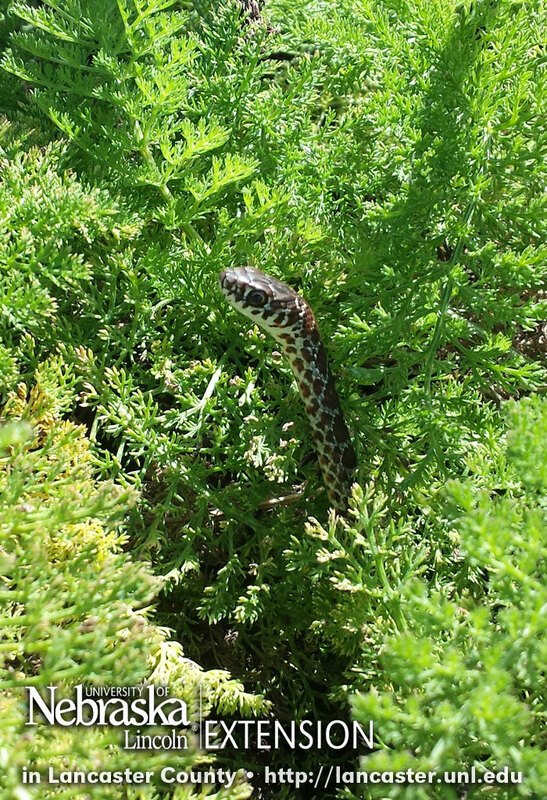 Not only do they help pollinate, but they also keep pest insects in check. 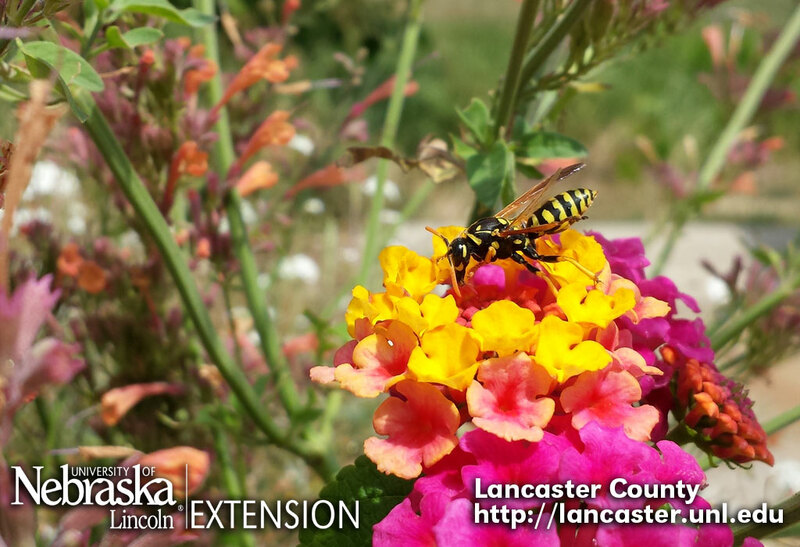 If you’ve planted a pollinator-friendly garden, you’ll find many wasp species visiting your plants. Take a moment to pause and enjoy these amazing insects. Even social wasp like yellow jackets and paper wasp are quite docile while feeding because they aren’t trying to defend a nest. Solitary wasp like mud daubers, cicada killers, spider wasp and more make great subjects for those who enjoy photography.